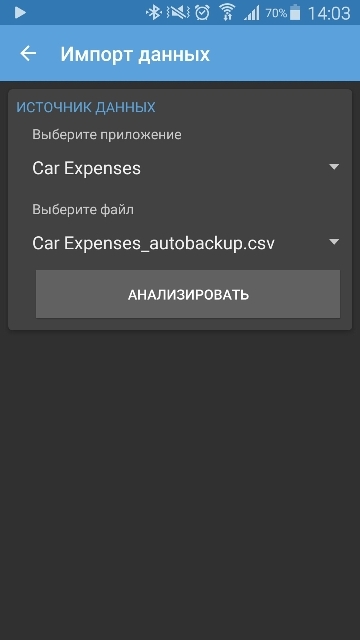 If you do not have data to import – you can get them from an export, perform the manual tweak according to the file structure, and then import. Where to search for imports and how to correctly import them – more about that below. In the first drop-down list, select the application of which you want to import data. 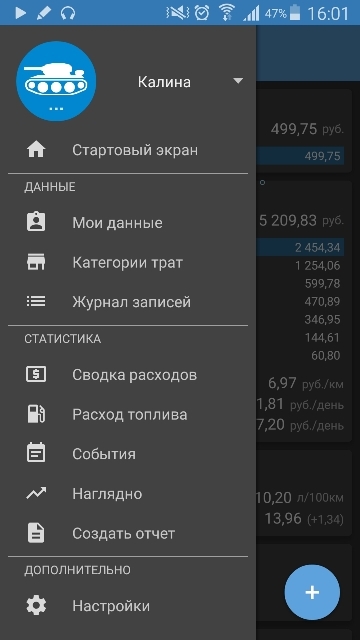 The application then displays an offer to analyse and import. 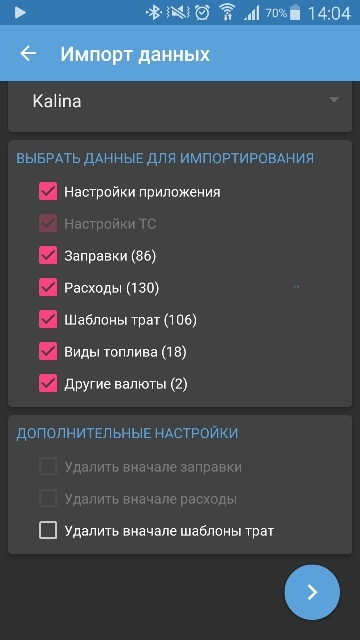 In the second drop-down list – a list of files according to the selected program will appear. By pressing the “Analyze” button the program parses the contents of the selected file and displays settings for the further import process, depending on the type of data found in the file. 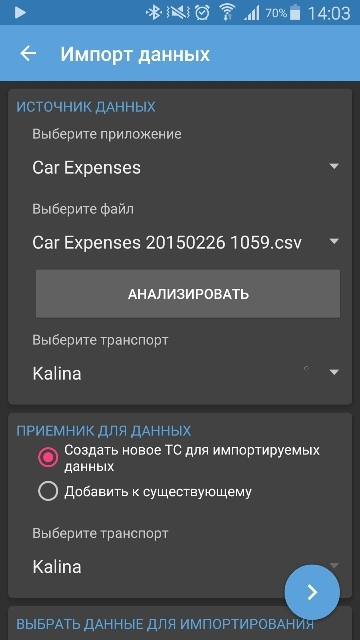 The block “Data Source” drop-down list was supplemented with the name of the car, which is found in the data file. Of course, you will select it in the first place. The block “Data import” contains checkboxes to select the data that will be imported from the application. Explanations are required. The block “Additional settings” allows you to select additional steps when the data will be imported -they are all unchecked by default. Make your settingas and choose your options – we press the round button to continue. The import will start, the import window closes, and a new window pops up with information about the result of the import. Выбираю импорт, а программа говорит, что файла нет.. Куда надо положить экспортированный ранее файл, чтобы программа его увидела? Спасибо.